Although it was issued for twenty years, the Naval Reserve Medal was officially authorized as an award for merely a dozen years. 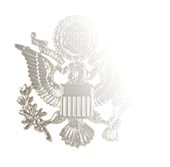 Originally established by Secretary of the Navy Claude Swanson on September 12, 1938, it was replaced by the Armed Forces Reserve Medal (AFRM) created by President Harry Truman’s Executive Order 10163. 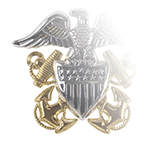 While Truman’s order had a Grandfather clause so the Naval Reserve Medal could be awarded until 1958, the “Dead Man Walking” status of the award is made clear by the fact that, as of the date of the order, Sailors could choose the AFRM in its place. 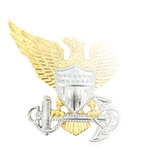 Two basic factors were used to determine eligibility for the Naval Reserve Medal: Length of service and number of “retirement points.” A minimum of ten years of service was required, but the ten years of service did not have to be continuous; it could instead be accrued over a (somewhat) indefinite period. But the Public Law establishing the medal mandated not just ten years of service, but ten years of “satisfactory” service. That translated into Reservists having to earn a minimum of 50 “retirement points” every year. One point was awarded for each authorized drill period in an organized or volunteer unit, as well as for each day of training or active duty. 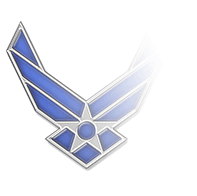 Completion of certified correspondence courses yielded varying amounts of points, but the biggest chunk of the annual 50-point requirement (15 points) came in the form of “gratuitous points” that were automatically credited to them for simply being in the Naval Reserve, regardless of whether they took part in any Naval Reserve training programs. 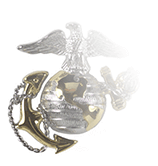 Reflecting the close-knit relationship between the two branches, the Navy counted service time in the Marine Corps Reserve toward eligibility for the Naval Reserve Medal if Sailors enlisted in the Naval Reserve within three months following their separation from the Marine Corps Reserve (provided they had not used any of that service time toward earning the Marine Corps Reserve Medal, of course).